Writing and self-publishing a book is a great side hustle and way to make money. But there are over 6,000 books published DAILY. Even if you have fantastic content, how are you supposed to stand out? In my post How to Write a Book and Make Money – 3 Phase Plan, I talk about the bigger picture of releasing a book including how much money you can make. For this post, I want to focus on “Phase 3,” which is Launch! The key is to concentrate as much traffic as possible on a 1-3 day launch. You utilize book promotion sites and services to boost your reach and get you in front of as many target readers as possible. These services do cost money, but should deliver a positive return on investment and also make your book successful going forward on its own. Every day 2.7 million blog posts are created (HostingFacts.com 2016) and over 6,000 books are published (Wikipedia, 2017) That is a TON of content to compete against. …you have to concentrate your attack. You can’t release a book and market it over time. Rather, you need to launch. You need to coordinate all available resources to drive massive traffic to your book all over the course of a few days. This attack should be enough that your book rises on your marketplace’s rankings (Amazon.com) and that marketplace begins delivering you organic sales. Once this happens, and assuming your content is good, you should expect to stay consistently high in the rankings and to generate sales ongoing. This concept doesn’t just apply to books. 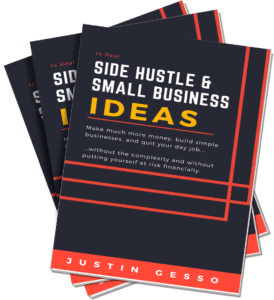 It applies to nearly every side hustle and small business (here’s my list of great small business ideas and side hustles). You have to concentrate your attack to stand out. So your job is to put your book on Amazon.com and then schedule a launch date. On this launch date, you’ll focus all of your marketing power to drive as much traffic as possible. You’ll likely discount your book on the first day of the launch to leverage some of the 6 Persuasive Communication Tips I recommend. As you can see, items 1 through 3 are free, but require you to have a following. If you have a huge following, you can likely launch a book yourself without any outside help. You’ll prepare numerous email, numerous social media posts, and gear your site toward the launch. Item 4 is part of the KDP Select program. But these alone may not be enough to push you high enough into the rankings to really launch with a bang that sustains. To fill the gap, you can leverage book promotion sites and services. You can also augment with Facebook ads, but I’ll leave those out of this discussion. Book promotion sites are sites that Kindle owners subscribe to in order to receive notification of good deals on books they may be interested in. Bookbub.com is a great example. Book promotion services are services that share info about your book launch on social media platforms, Facebook reader groups, and more. They are virtual assistants who save you time in announcing your book as broadly as possible. On top of your own launch marketing campaign through your channels, you do a Kindle Countdown deal, and layeron book promotion sites and services to ensure your book gets enough traffic to stand out. And don’t worry if your book launch doesn’t go perfect the first time. You can relaunch your book again in the near future. These services do cost money, but they should provide you with a positive return on investment. Do be aware that exposing your book to many thousands of people can be a dual-edged sword. I would only do this with a truly high quality book. If your book is sub par, you’re inviting thousands of readers who may leave you negative reviews. 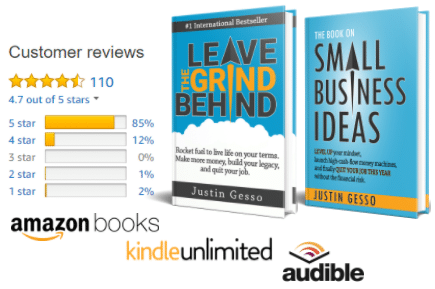 But assuming your book is awesome, expect to gain a lot of purchases and positive reviews that will help sustain the ongoing success of your book. And you also need a great cover so you visually stand out! The prices vary wildly on those. Some are $5. Some are several hundred. If you are pursuing book publishing as a business, you will need to do the upfront time investment (writing, editing, etc…) and upfront money investment (launching and marketing) to reach critical mass and create an ongoing income stream. For a full list of book promotion sites and services, check out Kindlepreneur’s post 127 of the Top Free and Paid Book Promotion Sites. If you subscribe to the blog, you’ll also receive his shortlist of the 10 most effective. Though be aware that many factors will dictate your success with a particular list, so results certainly vary. Thanks! And yes, you’re totally right. But worst case is you get a rejection…at least they don’t taunt you a second time.